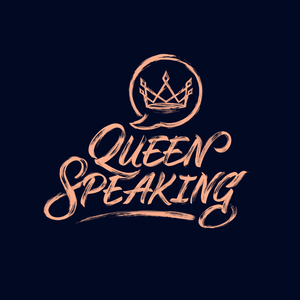 A podcast exploring what it means to embody being a Queen — how to own who you are from relationships to professional development and everything in between. We found 10 episodes of Queen Speaking with the tag “how to”. We’re talking through some of the reasons why self doubt creeps in, what you can do to overcome those negative thoughts, and tactics to silence your inner critic. Emotional intelligence has a huge impact on how we work today because much of our work is human-focused. We’re going to talk through the value of EI/EQ and tactics to enhance these skills. This month we’re spotlighting Brené Brown and talking through her pillars of work on vulnerability, how to move past shame, fear, and imperfection to be more in tune, thoughtful leaders. It’s the end of the year, which means it’s the perfect time to look back on your accomplishments, celebrate your achievements, and assess lessons learned. We’re sharing how to use this self reflection to set smart goals for the new year. We’re talking through the best ways to pack smartly for vacation using capsule wardrobe tips as you prepare for your holiday getaway, whether you’re heading to visit family, off to the beach, going camping, or up in the mountains. We’re navigating how to set boundaries by learning to say no and how to combat feelings of guilt that might come up as you put this in practice. Episode 42: Do You Know Your Top Five Strengths? Learn how to tap into your natural talents as you pursue your own career development. We share our experience taking the Gallup CliftonStrengths assessment, our top five strengths, and how they show up for us in the work we do. Episode 41: Can You Find A Friend Group Online? Online communities play a major role in bringing people together. How can you take advantage of your special interests and build friend groups online based around them? We talk through how to do that effectively and where to bring your online community to the real world. America’s biggest phobia is a fear of public speaking! It’s time to conquer it. We’re talking through the top three things to keep in mind before you stand up in front of your team or take the stage for your next presentation.